Great restoration and keeping to the original. Kudos to the owners! could use a good pressure washing, it seems. Vinyl windows are not attractive. They cheapen the appearance. Storm windows would have been so much better.....Otherwise it is still an attractive building. I just recieved a page that this building is on fire... is this true? Reinvestment Partners has made various attempts to further clean the exterior's yellow brick since 2006. Unfortunately, pressure washing has proven destructive to the bricks and we've yet to find another way to safely and effectively clean it. 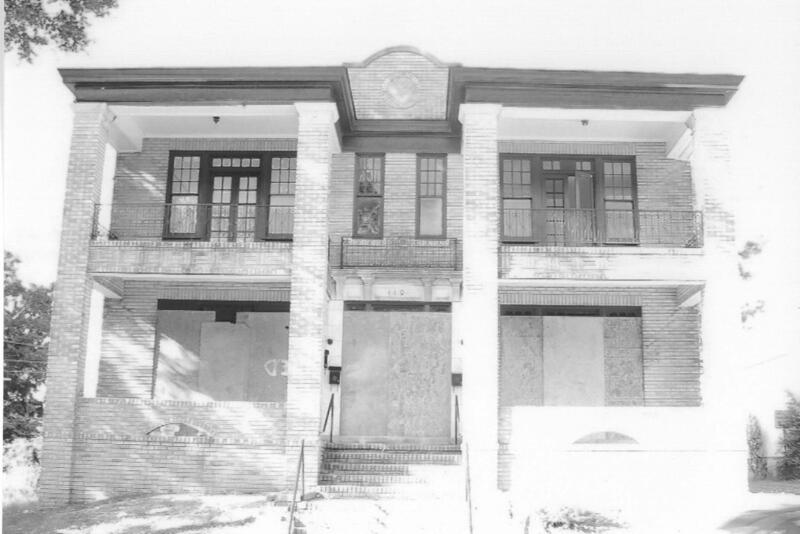 The apartment building at 110 East Geer St. was built in 1928 - one of a series of handsome apartment buildings built in the 1920s - typically displacing earlier single family homes. 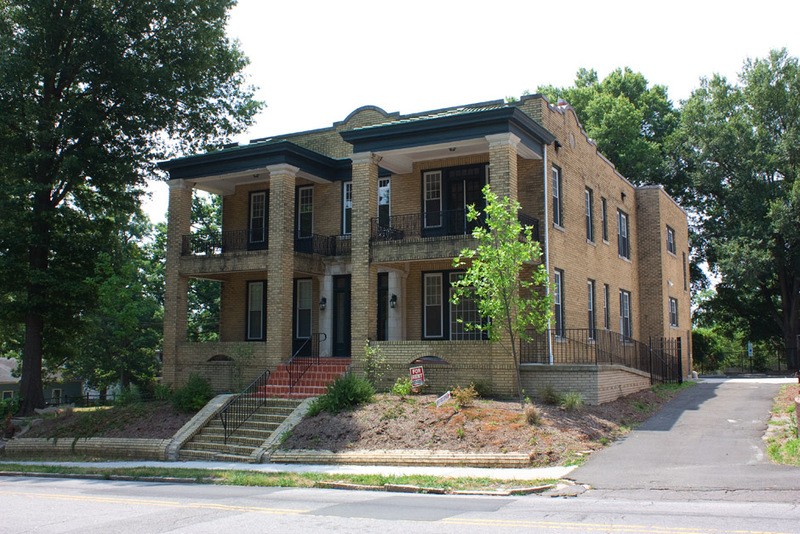 As mentioned in earlier posts, the apartment building was somewhat of a novelty in 1920s North Carolina - a new alternative to the rooming houses and hotels that people often used for itinerant lodging. 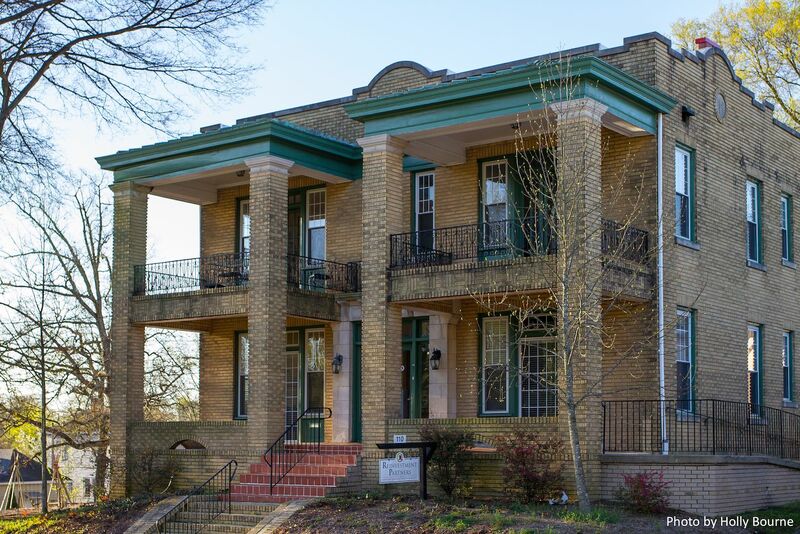 This building was constructed by Clara Bellamy, a cousin of Fred Geer, who owned the large farmstead that encompassed this land; the Bellamy family also likely constructed the Bellamy apartments that adjoined the back of the property. It remained in the Bellamy family for many years. In 2002, it was purchased by Gold Leaf Construction Company, and subsequently, in 2006 by the Community Reinvestment Association of North Carolina, which uses the building for their offices. Local nonprofit Reinvestment Partners, formerly CRA-NC, purchased this four-unit apartment building in 2006. It had been neglected and fallen into severe disrepair. Reinvestment Partners invested over half a million dollars in restoring the building's interior and exterior, taking care to preserve its historic charm. 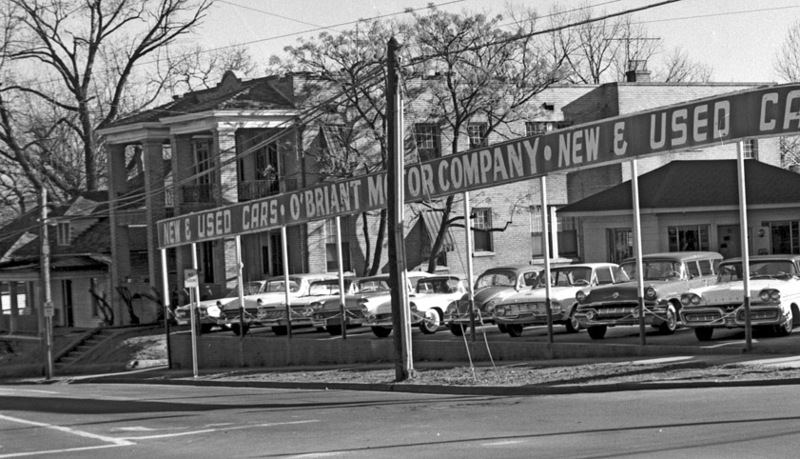 The building was converted into office space, and is now used as the nonprofit's headquarters. Reinvestment Partners' mission is to foster healthy and just communities by empowering people, improving places, and influencing policy.